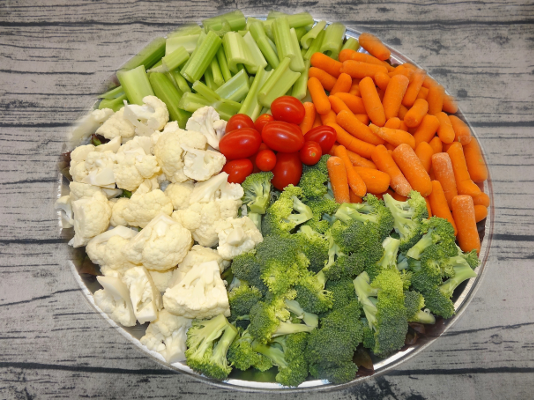 A colorful veggie platter full of crunch! Includes Broccoli, Carrots, Cauliflower, Celery & Grape Tomatoes. Larger platter includes ranch dip! 24 hour notice is encouraged.